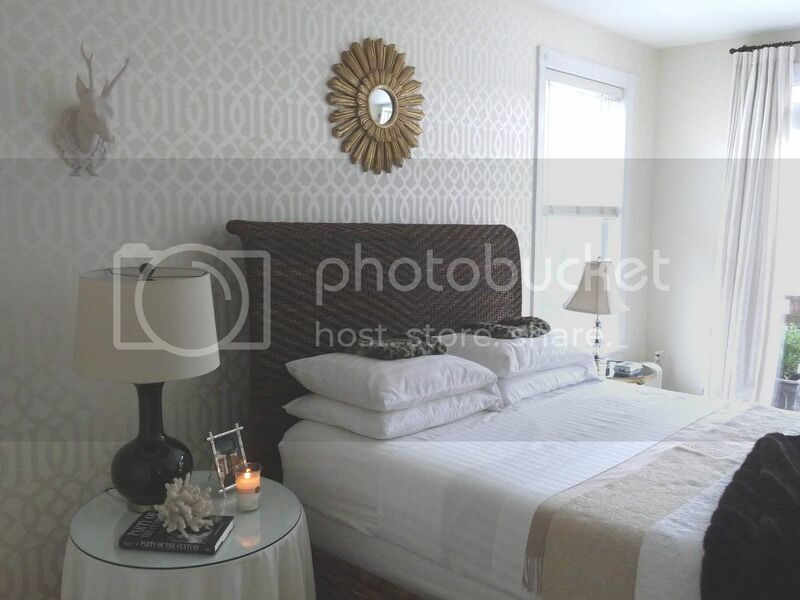 Brooke from All Things Thrifty created a master piece in her master bedroom with this beautiful headboard, she perfectly upholstered every panel individually! My talented friend Barbara over at Hodge:Podge has mastered the art of diamond tufting, her gorgeous raspberry silk headboard was featured on HGTV online! 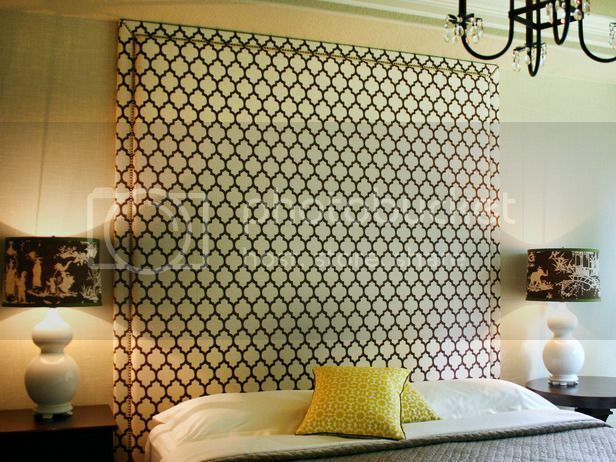 Janell of Isabella & Max Rooms created a stunner, a headboard wall with a fabulous nailhead trim, yum! I'm happy with how my Rast dressers turned out, and I've found so many other re-invented IKEA pieces that are seriously drool-worthy. 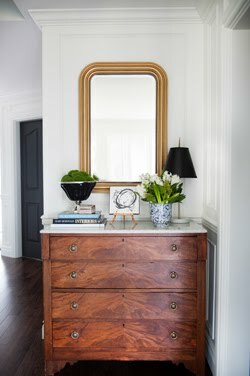 If you haven't already seen Aubrey & Lindsay's take on the Rast dresser, you've been missing out! 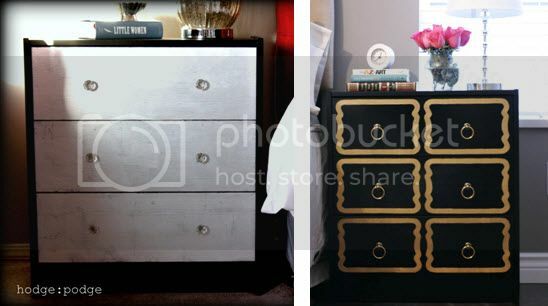 Seriously, isn't it amazing to see how unique these four takes on plain jane IKEA dressers are? Just goes to show how creative you can be and how many different looks can result by either silver-leafing, stenciling, staining, or adding trim! How amazingly talented is the blog-world?? I feel like I have so much to learn ... a big thanks to all of these talented people for continuing to inspire me! So many projects, so little time. Did I miss any DIY's that you drool over and want to give a try? Oh what a wonderful post and great examples from some of my favourite bloggers. How much inspiration can I bear! this post is so inspiring! My goal this year is to actually step out of my comfort zone and do a terrific DIY.....but these top the cake! Loved this- I'm always amazed at the talent out there in blogland- DIYs always make me gasp because they're so not my thing and I am always totally inspired by what others do. 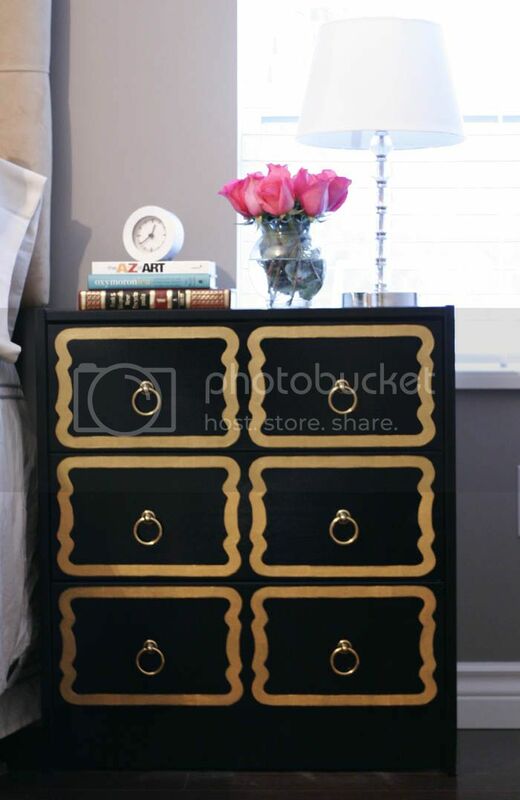 Beautiful roundup and ps, you dresser hack is one of my all time favourites!! As always thanks for doing the leg work for us! Wonderful ideas! 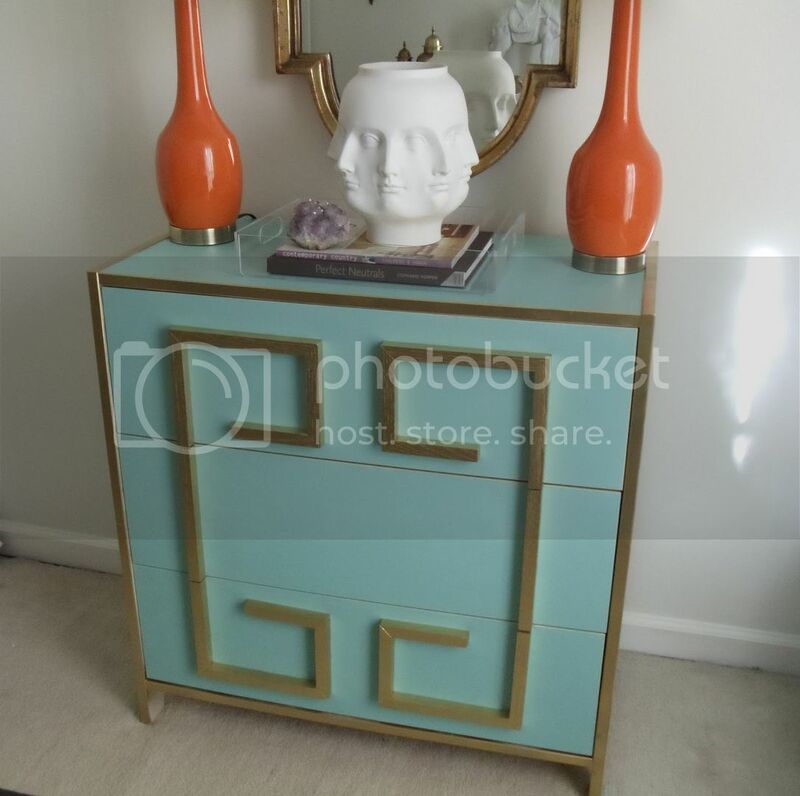 The turquoise & gold is my vave!...Stunning! Wow, so incredibly impressed with these people. 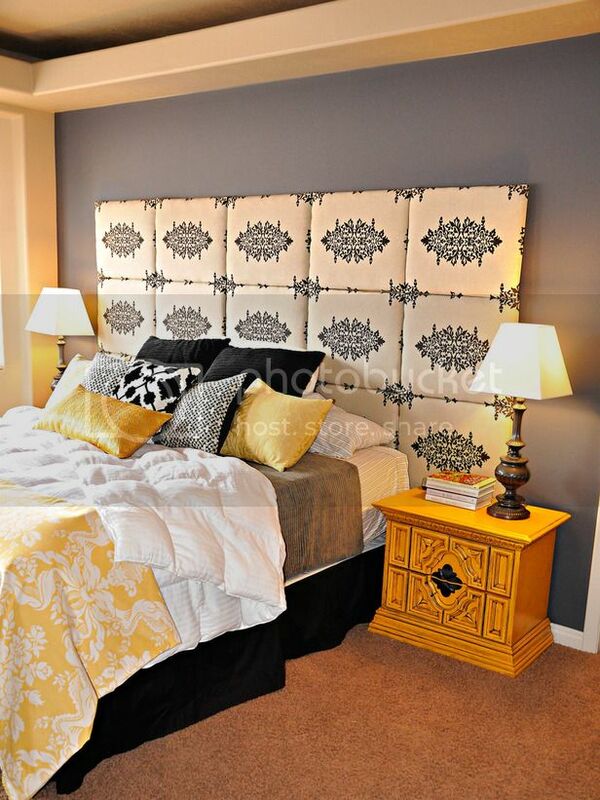 I really wish I had the patience for talent to make a headboard for myself. Gorgeous gorgeous gorgeous! 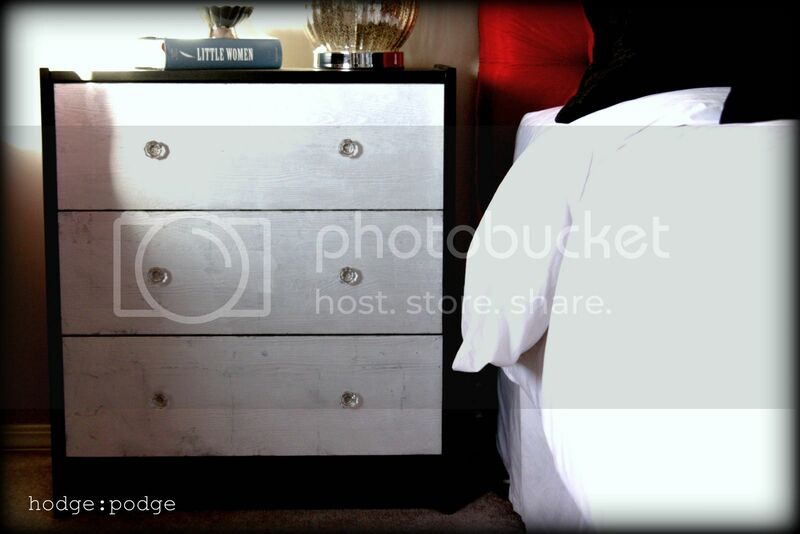 Wow I haven't seen that dresser from Bri before, so cool! I've been wanting to make an upholstered headboard for our master. I even have all the pieces cut out and ready to go. Except I can't find the perfect fabric. I've looked everywhere ugh! You are too sweet. I must say that I LOVE that dresser Bri made! There are moments when I feel like buying several Rasts and just hacking them for fun! You are so right... the blog world is amazing. I so want to try some of these projects! This makes me want to take the day off and go do something crafty! Thanks for the inspiration! amazing post, thanks! I'm thinking hard about doing a Rast dresser DIY project. Do you think that could work as a side table in a living room? Well small world! I just clued in I used to work with your hubby! While he was still in school I worked with him at RMH! CRAZY! 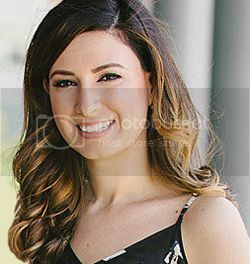 I knew I recognized you in your pic on your blog...only now did I clue in! I LOVE YOUR BLOG! I LOVE your home...looks so great! Well done guys! I am following you now :) Check out my blog too! Most inspiring post EVER!! 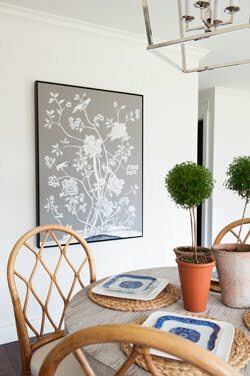 Makes me want to change everything in my home (DIY style of course ;) I'm especially enamored with your dresser makeover (along with everyone else in the blogosphere). So many of my faves in that list too! so much talent!!! Hey girl thanks for the feature! I got a lot of catching up to do with all these great DIY's my laptop crashed so I have to share with my hubby. Not fun, ever seen two dogs fighting over a bone...? Great collection of projects. 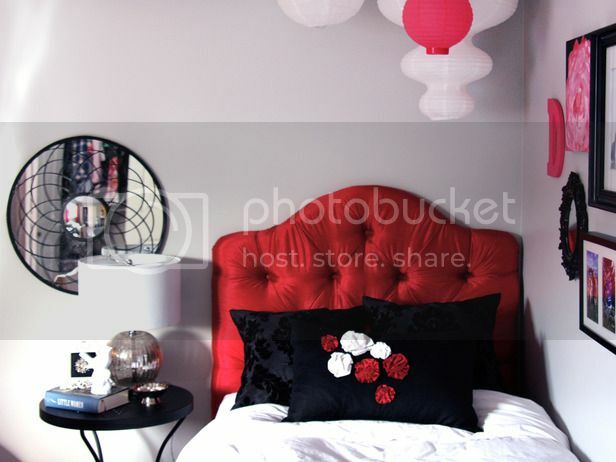 The wall treatments that you featured are amazing - I can't imagine having enough patience to create any of them! Love the stenciling that Janell did. 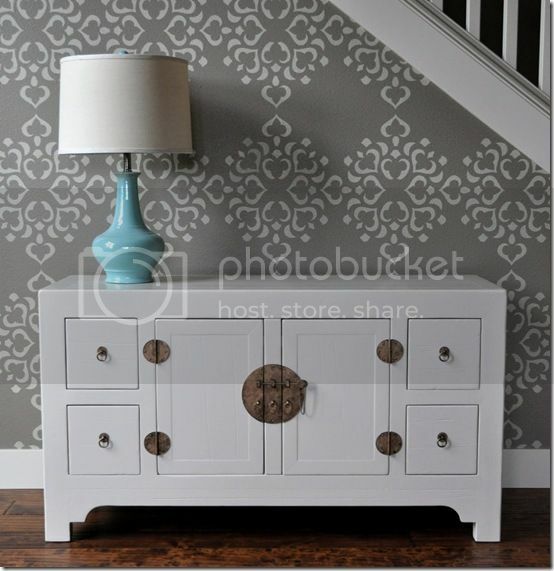 I've been debating buying the same stencil to do something similar on a wall in our hallway. Just started following your blog! Wanted to say "hello"! 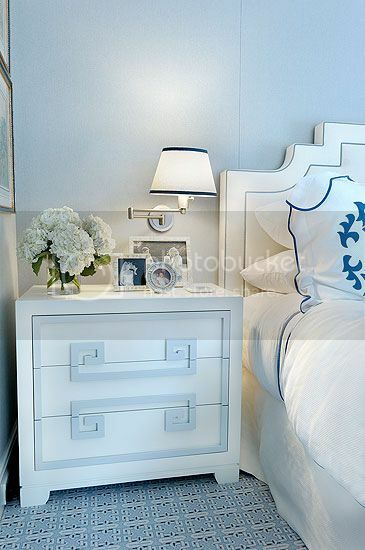 And also, your nightstands are amazing - I love what you did. Love it!! What a great blog! !